There's a battle going on inside your digestive system. Bad bacteria and good bacteria are fighting over your health. But there is something you can do to make sure the good guys win. 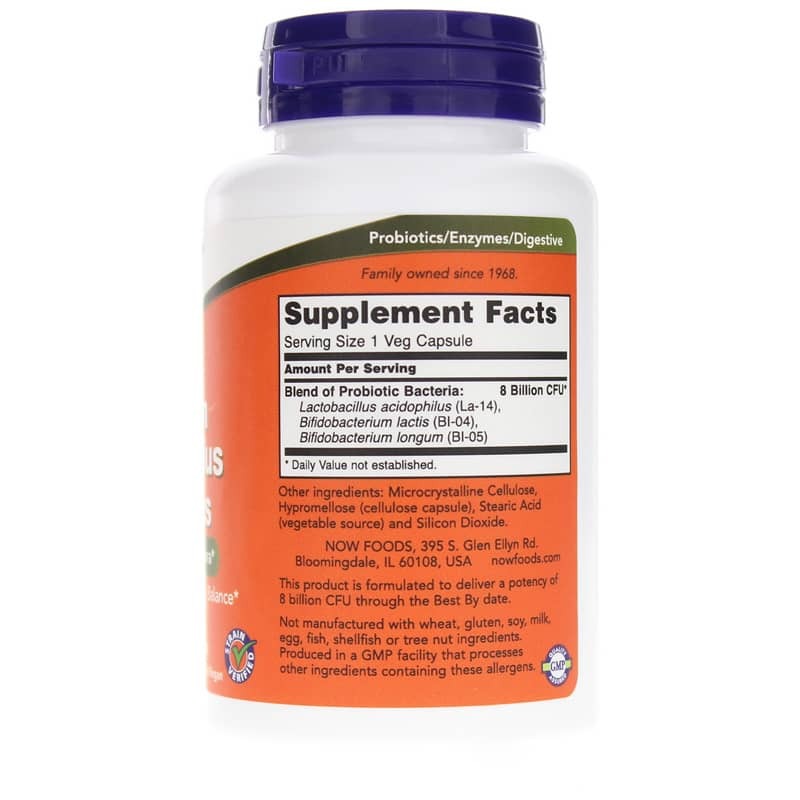 Take a probiotic to provide reinforcements! 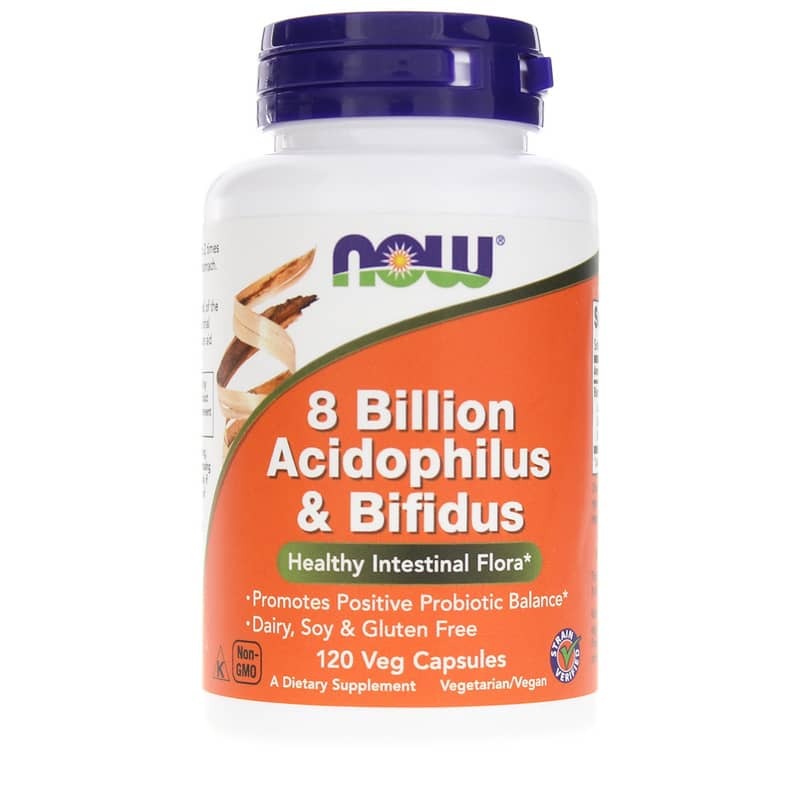 8 Billion Acidophilus & Bifidus is a probiotic from NOW Foods that gives you a balanced blend of the two most prominent beneficial intestinal bacteria. Balanced intestinal flora is crucial to your digestive system. Make this probiotic part of your regular routine and discover the difference. Choose 8 Billion Acidophilus & Bifidus from NOW Foods. Other Ingredients: microcrystalline cellulose, hypromellose (cellulose capsule), stearic acid (vegetable source) and silicon dioxide. 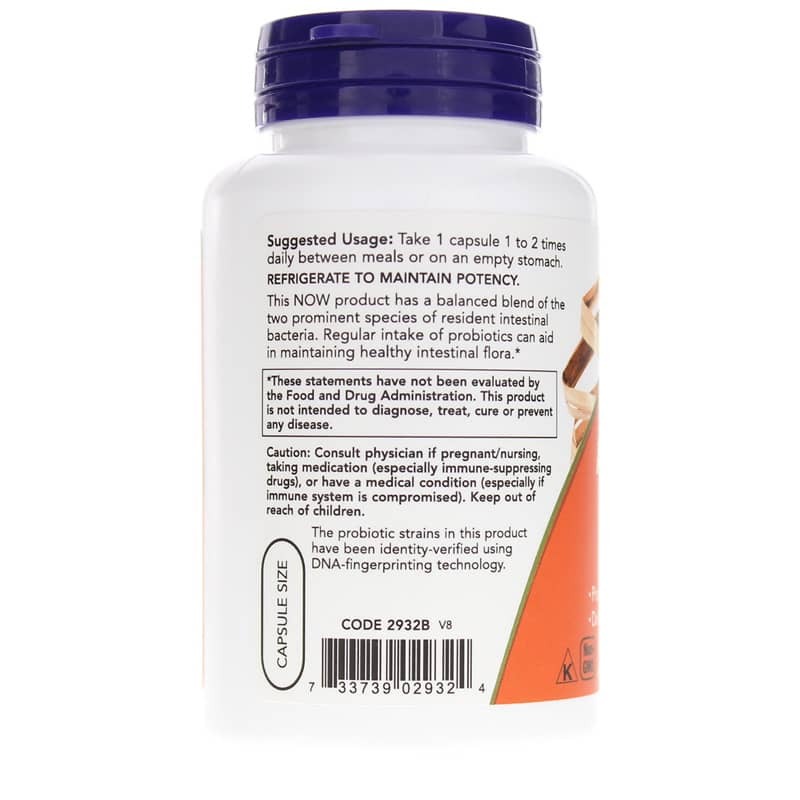 Adults: Take 1 capsule 1 to 2 times daily between meals or on an empty stomach. Refrigerate to maintain potency. For adults only. Consult physician if pregnant/nursing, taking medication (especially immune-suppressing drugs), or have a medical condition (especially if immune system is compromised). Keep out of reach of children.